For those looking to navigate the minefields known as the cryptocurrency and ICO investment worlds, here's a list of things that could part an investor from his or her hard-earned money. Though one can debate what kind of market cap Bitcoin deserves, it does have a value proposition, thanks to the support it has received to date as an alternative store of value to precious metals. Meanwhile, Ethereum, the world's second-most valuable cryptocurrency, has attracted developer and institutional support due to its ability to support smart contracts -- a way to enforce financial contracts with no intermediary -- and distributed apps. And Ripple/XRP, the world's #3 cryptocurrency, has drawn interest for its potential to drive cheap cross-border transactions. But there are still 18 cryptocurrencies with $1 billion-plus market caps (there were even more not too long ago), and close to 100 with $100 million-plus market caps. The list includes the likes of Dentacoin, which was launched by a firm attempting to use the Ethereum blockchain to "provide solutions for the global dentistry industry," and Waltonchain, whose promoters say they want to "extend the blockchain technology from the Internet to Internet of Things" (and who were recently accused of creating a fake Valentine's Day giveaway). Don't be surprised if most of those 100 or so cryptos are worthless (or close to it) in a few years' time -- even if Bitcoin and Ethereum make out well. This phenomenon is starting to die down, but it is hardly finished. If, say, a medical instrument developer (hi, Biotpix/Riot Blockchain ) or an iced tea maker (hello, Long Island Iced Tea Corp./Long Blockchain Corp. ) decides to add "Blockchain" to its name and declare it's now a cryptocurrency play, it's best to tread carefully. Likewise, when a larger, more legitimate company is suddenly being hyped as a crypto/blockchain play, an investor thinking of going long should at the very least do some research about just how much crypto exposure the company actually has, as well as what the growth prospects for that side of the company's business look like. Overstock.com and Square are a pair of names that saw a fair amount of irrational exuberance related to their crypto exposure during the mania's late-2017/early-2018 peak. As ICOs -- sales of brand-new cryptocurrencies or tokens that are tied to services being enabled by the offering company, and which are typically purchased by investors using Bitcoin or Ethereum -- proliferate, so have reports of scam offering. Often accompanying these scams are the following: Promises of massive returns and/or guaranteed profits, claims about using the cryptocurrency/token being offered to transform how a major industry functions, a white paper (the closest thing ICOs have to an IPO prospectus) filled with dubious or poorly-researched arguments, a lack of a clear roadmap and a flurry of promotion from a previously-unknown company on social media and cryptocurrency forums. 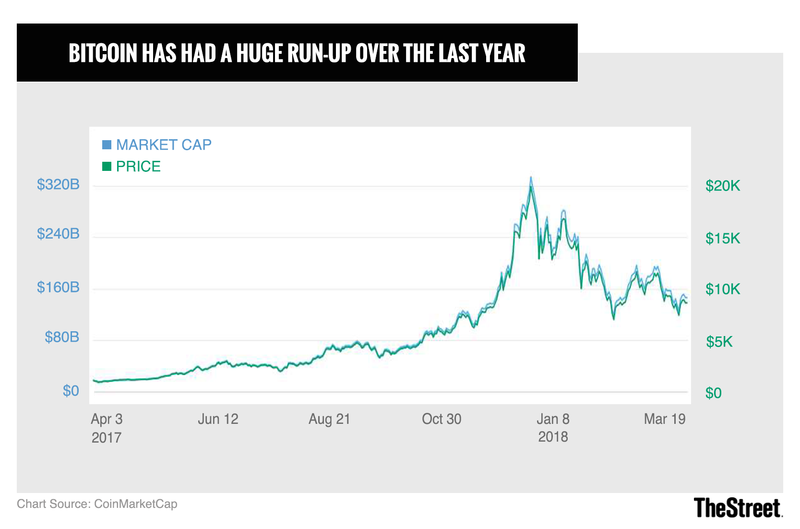 As with publicly-traded firms getting hyped as crypto plays, a small amount of research can spare investors a lot of misery. Among the things a would-be ICO investor should know about the company behind the offering are: Who its financial backers are, the backgrounds of its management team, its financials, its short-term plans for the ICO proceeds and its long-term strategy for leveraging the cryptocurrency/token it's creating to build a profitable business. Even if an ICO is being launched by a reputable company with a trustworthy management team, it's hardly a given that the cryptocurrency/token being issued will maintain its value. It's worth remembering that ICOs don't typically involve the sale of a stake in the issuer, but in a new asset that needs to be adopted and embraced by third parties for investors to eventually sell it at a higher price. For example, messaging app Kik raised $100 million through an ICO in which it launched a cryptocurrency -- known as Kin -- that's meant to underpin a developer ecosystem supported by Kin payments. If consumers and developers don't embrace Kin, investors will be underwater even if Kik itself proves to be financially successful. And looking at the ICO landscape more broadly, it follows that if many of the 100 or so cryptos with $100 million-plus market caps wind up being worthless, then the ICOs that were responsible for bringing many of the cryptos into existence weren't great investment ideas either. Cryptocurrencies are hardly the only assets to be subject to phishing attacks -- scams in which someone tries to spoof the identity of a reputable organization (often with the help of a phony website) that a victim has an account with, in order to steal his or her credentials. But cryptos have become an especially popular target lately. The massive cash inflows that this space has seen recently are one big reason why cryptocurrency wallets have become popular targets for phishers; so is the fact that it's often impossible for victims to recover lost funds once their private keys have been compromised. In January, Ernst & Young estimated that nearly $400 million of the $3.7 billion that had been raised to date via ICOs had been lost or stolen, with phishing attacks responsible for much of the damage. Many of the recommended precautions for avoiding phishing attacks targeting bank account or payment card data also apply to cryptocurrency wallets. These are phenomenon that many public-market investors are quite familiar with, and which many new cryptocurrency investors have unfortunately had to learn about the hard way. In January, the U.S. Commodity Futures Trading Commission (CFTC) filed a lawsuit against the backers of My Big Coin, a cryptocurrency scam involving a nonexistent coin and payouts to initial investors that relied on funds from subsequent investors. And shortly before that, Bitcoin lending/exchange service Bitconnect, which promised giant returns on cryptocurrency "loans" made to the platform, which drew many Ponzi scheme accusations as a result, announced it's shutting down. From the looks of things, My Big Coin and Bitconnect are just the tip of the iceberg when it comes to crypto Ponzi and pyramid schemes. There have also been quite a few reports of pump-and-dump schemes in which one previously-obscure crypto or another spikes higher with the help of aggressive newsletter, social media and/or messaging-app promotion, only to tumble soon afterwards as its promoters use the opportunity to unload their holdings. Crypto investors looking to avoid such scams are well-advised to remember an old saying: If it's too good to be true, it probably is. If a cryptocurrency investment firm or venture promises big guaranteed returns at little or no risk, or if a newsletter or social-media promoter declares that a crypto with a tiny market cap is "the next Bitcoin" and will soon skyrocket, don't be surprised if the promoter's name is eventually mentioned in an SEC probe or multi-million dollar lawsuit.